[alt] => Wedding Couple Walking Into The Reception Centre Holding Hands At Night Time. [alt] => Gorgeous Daytime Riverside Setting With Couches And A Large Light-up Sculpture Of The Words "Love" Is Placed At The River Edge. [alt] => Beautiful Outdoor River-side Wedding Dining Room Setting With Wooden Tables, Large Hanging Light Bulbs And Trees. Roses Sitting On Table In The Foreground. 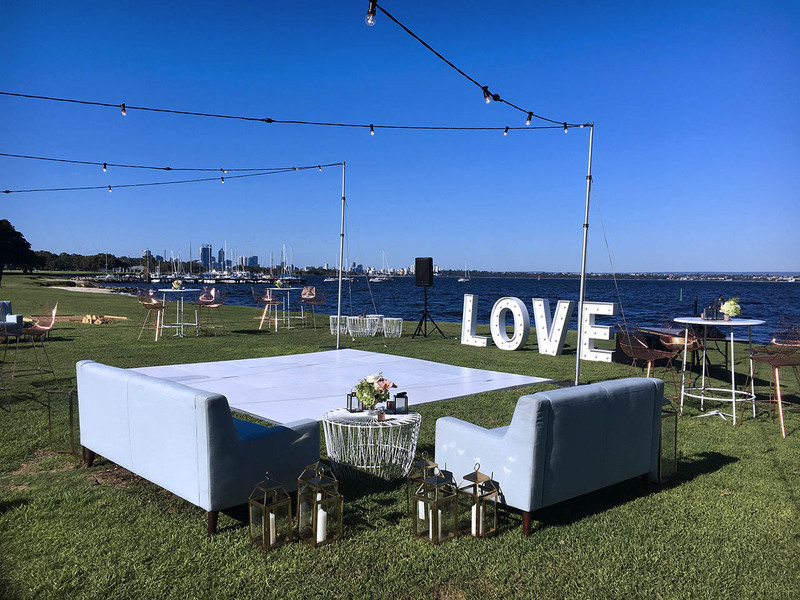 Nedlands Yacht Club is a Multi-Award Winning events venue situated on the Swan River in Nedlands with stunning city views. A lush foreshore, self-catering and a DIY style venue to suit 10 – 1500 guests. Suitable for a causal cocktail style wedding with food trucks and lawn games on the foreshore to the more formal sit down weddings, engagement parties, corporate Christmas functions, birthday celebrations and more! 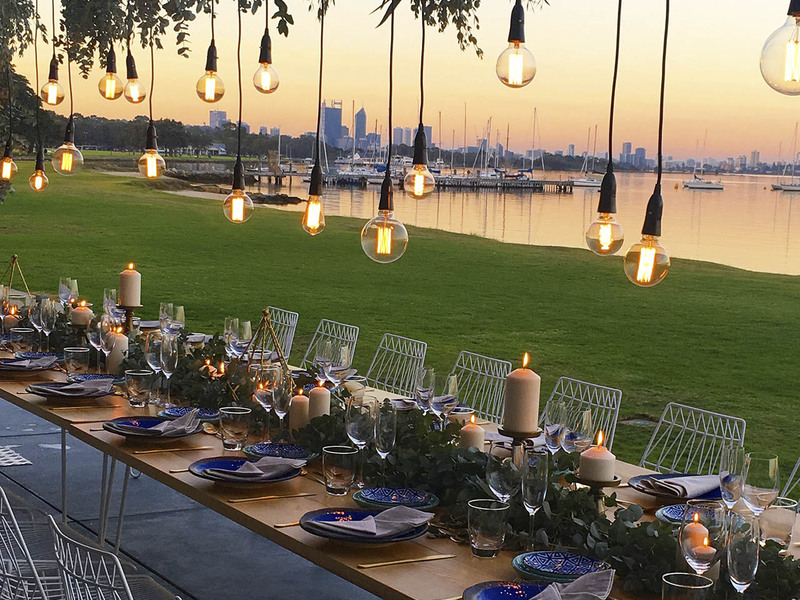 Providing the flexibility to create your ultimate event, contact our Events Manager to find out how professional and affordable Nedlands Yacht Club really is. 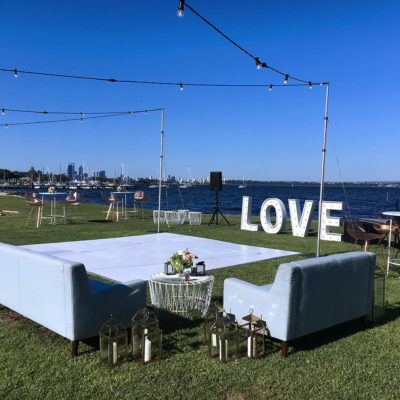 We pride ourselves on the ability to host spectacular waterfront weddings in Perth at the best price possible for anyone in love. 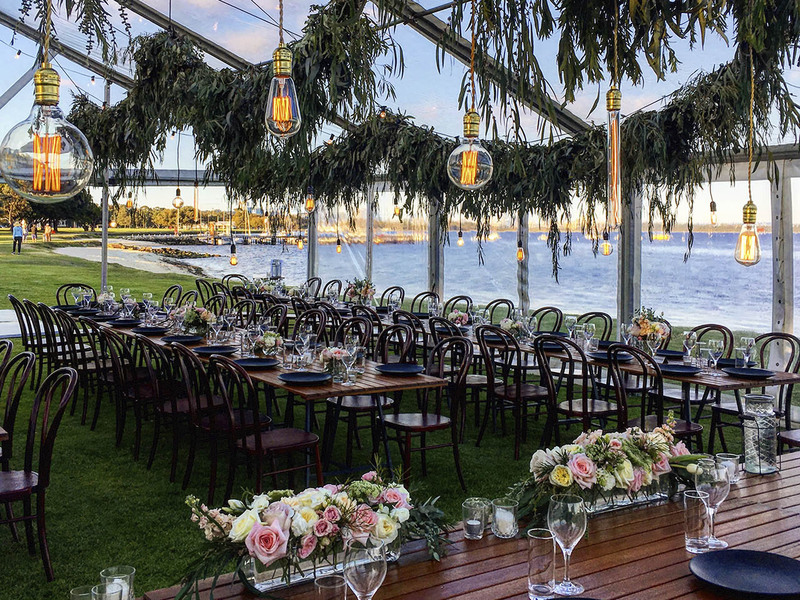 Enjoy pre-dinner drinks or your entire reception along our lush and secluded Swan River foreshore as the sun sets over the Perth CBD skyline. With the flexibility to create your unique dream wedding, this large venue is a blank canvas simply waiting to be customised. 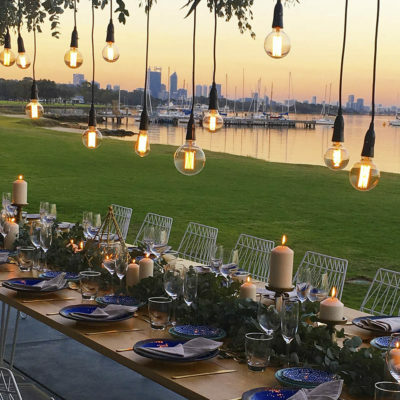 Whether you are creating a DIY Wedding in Perth, looking for an intimate wedding venue or are going all out with an extravagant and luxurious wedding of the year, our pristine and secluded foreshore is what you need! 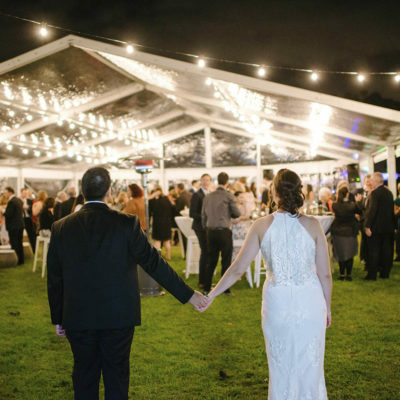 Nedlands Yacht Club offers you a self catering wedding venue in Perth so that you can indulge in your favourite feast, cater for a specific cultural flavour or requirement or even host a food truck wedding to add interest and uniqueness to your special day. To make it easier for you with also have a selection of all-inclusive food packages available to you as well. Catering for weddings of all sizes from small and intimate weddings to extravagant weddings and parties and everything in between. NYC can cater from 50 guests up to 1500 guests cocktail. We love love! 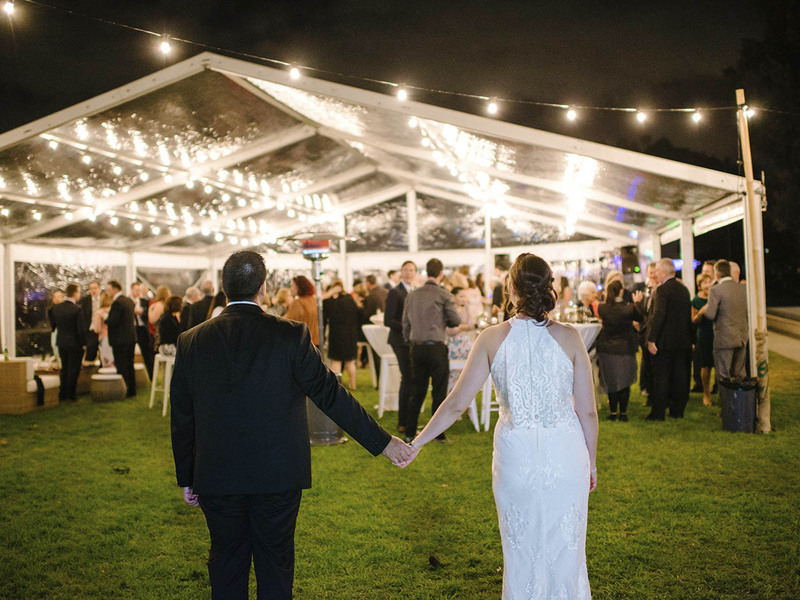 Nedlands Yacht Club is an all-inclusive venue for anyone who is in love and wanting to commit to spending the rest of their lives together! Nedlands Yacht Club is the ideal setting to hold your next corporate lunch, meeting, seminar, conference, Christmas function, EOFY event, product launch or a range of other corporate events. Let Nedlands Yacht Club take care of everything while you relax and enjoy the serenity of the Esplanade foreshore and impress your colleagues and clients. A cost effective and simple process will allow your event to run with ease. Our expert staff are ready to cater to all of your needs in order to create an experience your business and clients will surely remember! Nedlands Yacht Club is the perfect location for your next function. Whether that is a birthday party, engagement, your next celebration or a wake or memorial service. Our newly renovated venue has been fitted with state-of-the-art, easy to use audio and visual systems that will meet all your event needs. 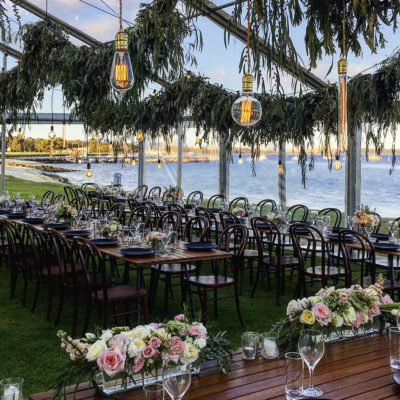 With a lush foreshore and impressive views of the Perth City skyline and Swan River your event will be one talked about for many more years.